The air force of Syrian President Bashar al-Assad repelled an attack by “hostile forces” in southern Syria Thursday evening, government media outlets reported. 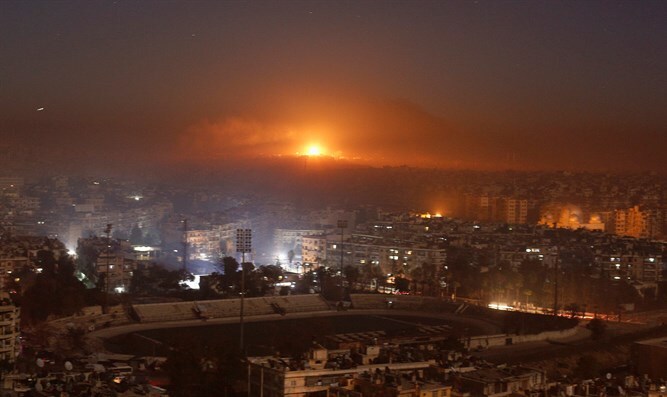 According to one report, the air defense forces attacked a “foreign body” in the Damascus capital. According to the Saudi based Al-Arabiya news station, the targets of the attacks were the warehouses and headquarters of the Iranian militias​​​​​​​ in the area. The incident comes several hours after an Iranian cargo plane packed with Iranian weapons destined for Hezbollah flew directly from Tehran to Beirut’s Rafic Hariri Airport.